In an incident reminiscent of the panic surrounding the Samsung Galaxy 7, an iPhone reportedly exploded at the main Apple store in Zurich, on Bahnhofstrasse according to a report in Swiss press. 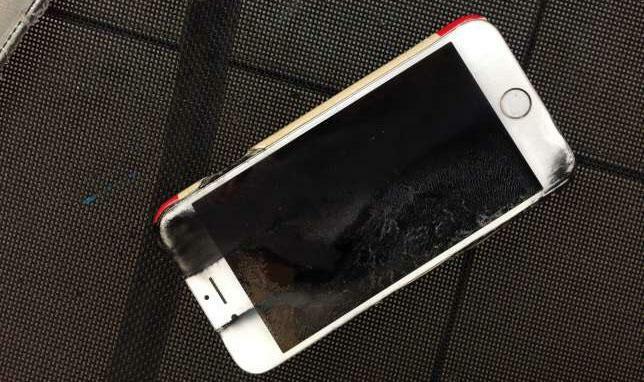 According to Blick magazine, an overheated iPhone battery exploded, burning an employee who was handling it at the time. As smoke emanated from the battery, someone inside the store called the fire department, which asked some 50 customers that were browsing in the store at the time of the incident to leave. Apple employees reacted quickly by sprinkling sand on the overheating battery. Seven people received medical care but did not have to be hospitalized. Specialists from the Zurich Forensic Institute examined the battery and its associated device to determine what had caused the battery to overheat. Protection & Rescue was on site with a tank fire truck of the professional fire brigade as well as with several ambulances and an emergency vehicle. Seven people received medical care but did not have to be hospitalized. While the report is preliminary and not much information has been released yet, if accurate, this could present a another problem for Apple, which has already been forced to defend itself against speculation and media reports that demand for iPhone is far lower than most sellside analysts expects.